In my nineteen years of experience, summer loses a bit of its sparkle around this time. August seems light-years away, but my fall move-in day is officially one month away. If you're anything like me, you've already gone on your vacations and exhausted your bank account with trips to local cafes (and everything on the Starbucks menu). You may have been to the library a dozen times, and even cleaned out your closet. So now what's a girl to do? I don't go to the country club pool anymore (those hairless, overly-bronzed lifeguards make me too self-conscious), so that's out. Of course if you're lucky enough to live near the beach, you've got it made (unfortunately…). So here's how I plan to spend my weekend/rest of the summer. 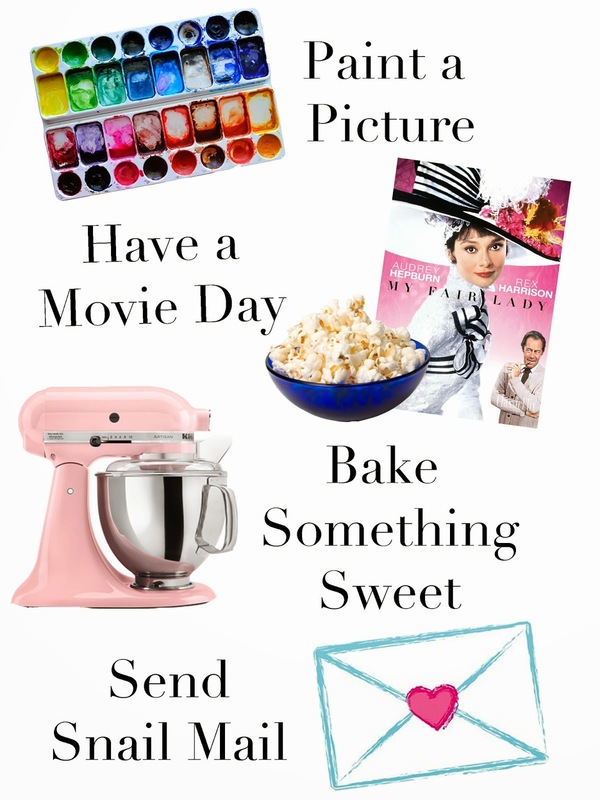 These are also double-threat activities because they're perfect for rainy summer afternoons! P.S. I'm still working on my Summer Bucket List! I definitely agree summer does seem to lose a bit of sparkle after the Fourth. Looks like a fun weekend!